Peter Stahl, CFP®, CLTC®, CMFC®, is President and Founder of Bedrock Business Results, LLC, and Founder of WealthWatch.com. Peter has 29 years of experience in the financial services industry where he has built a recognized track record of integrity and success. He has supported the sales and marketing efforts of financial advisors and their broker dealer firms across multiple channels of distribution, both domestically and internationally. Product areas include insurance, mutual funds, annuities and retirement plans. In 2012 Peter founded Bedrock Business Results, LLC, a training and consulting firm designed to help financial advisors understand health care challenges during retirement, equipping them to build trust and provide solutions for their clients. Peter is also the founder of WealthWatch, an innovative video library providing content on retirement health care issues, focusing on the convergence of health care and financial planning. Peter was previously the Vice President of Strategic Relationships at The Hartford, and prior to that part of the support team at Putnam Investments. He lives with his wife and five children in the Philadelphia suburbs. Financial Advisors who are equipped to address this issue have a unique opportunity to build trust, gather assets and cement client relationships. The Retirement Resource Center recommends Peter Stahl’s book and courses for those interested in delving deeper into the subjects of health care, health savings accounts, and financial planning, and for those interested in earning CFP® CE in those topics. You can see all of Peter’s CFP course offerings for Bedrock Business Results, LLC on the CFP Board here. Peter Stahl’s book, “Top of the First: The Convergence of Health Care and Financial Planning”, is worth 4 CFP® CE credits. Peter also offers a workshop in Accumulating Wealth with Health Savings Accounts, and The Convergence of Health Care & Financial Planning for 1 CFP CE each, and Retirement Health Care & Financial Planning Series for 4 CE credits. Peter earned a Bachelor’s degree in Economics & Business Administration from Gordon College. He has been a Certified Financial Planner (CFP®) since 1997, and also holds Certification for Long-Term Care (CLTC®) and Chartered Mutual Fund Counselor (CMFC®) designations. I have known and worked with Peter Stahl for over 20 years. When First Tennessee sought to expand their discount broker dealer into a full service broker dealer, Peter was instrumental in helping us lay the foundation for a sound business model that led to the establishment of an industry-leading institution today. Equally, Peter is adept at building a personal foundation rooted in trust and competence, and I will always regard him as a significant influencer in my leadership style today. I was introduced to Peter last year at the CFS/SPF Program Manager’s Forum. Since that time I have had the extreme pleasure to see Peter speak on several occasions. His knowledge and expertise are only exceeded by his passion. He has been an integral part of the success of a regional training program I established for our advisors. His talk on funding health care in retirement is an eye opener. Moreover it is a topic many advisors are not equipped to handle. Peter helps to bridge the gap and empower advisors to differentiate themselves. Have Peter Stahl speak at your event! Peter Stahl is an experienced speaker and presenter with a passion for providing industry-leading information to his audiences. Contact Peter Stahl to speak at your conference or event! 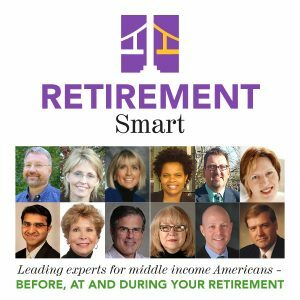 Or, go to the Retirement Speakers Bureau to learn more about this and other speakers and presenters.